It’s a Comics Christmas Cavalcade! 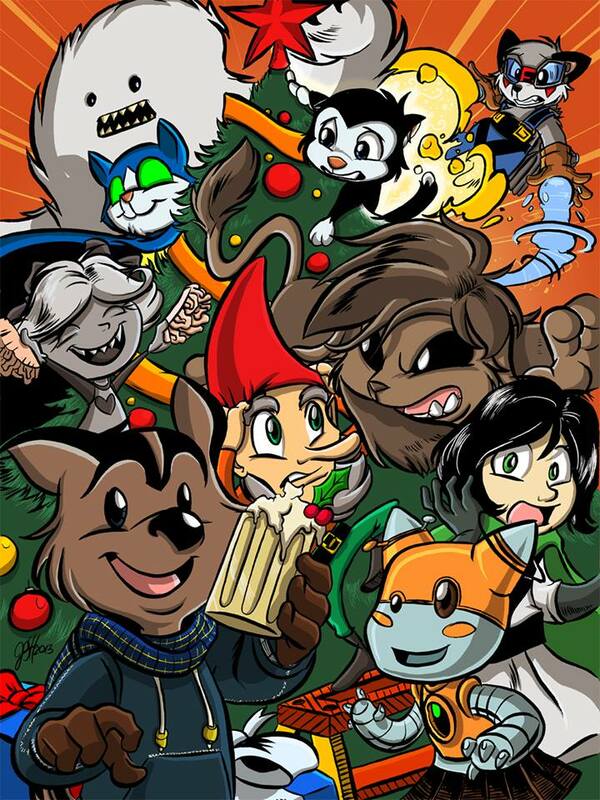 Check out this awesome Christmas card that Josh Buchanan worked up featuring Michigan based cartoonists! He’s got his character The Rocket, Rob Worley’s Scratch from Scratch 9, Jerzy Drozd’s Jerad from the Front, Jesse Hughes’ Cosmicat, Mike Roll’s Apooka, Jay Fosgitt’s Bodie Troll, Dave Woodward and Chris Sopsich’s Gordie Gnomo, Joe Foo’s Desmond, Ben Hatke’s Zita the Space Girl, and our l’il ol’ Ellie down there on the bottom! You can find out more about Josh’s comic The Rocket, along with his other projects, right here! Click the pic to bigafy.